The perfect gift set for women this Christmas. 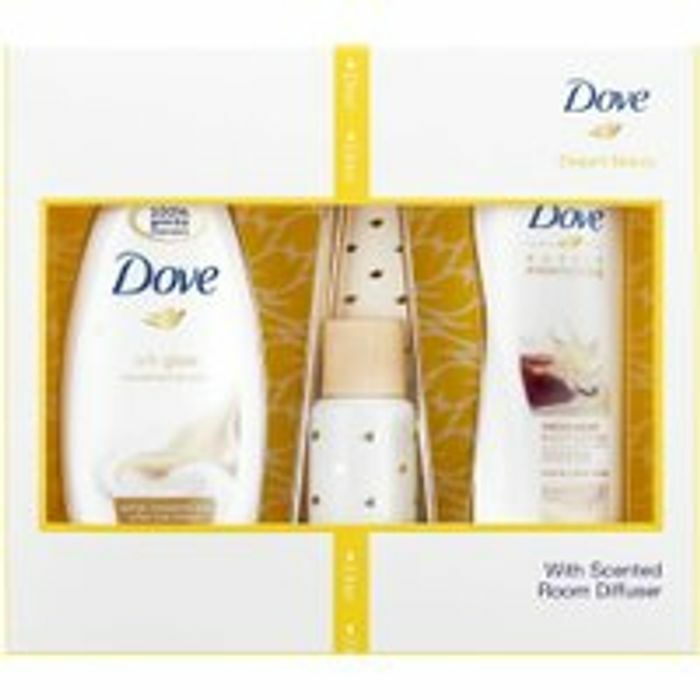 The set contains a Dove reed diffuser, liquid Dove body wash and Dove body lotion with shea butter and vanilla. The body wash and lotion have been dermatologically tested. Warning: Use only as directed. Avoid contact with eyes. If eye contact occurs wash out immediately with warm water. If irritation occurs discontinue use. Read label before use. May cause an allergic skin reaction. Harmful to aquatic life with long lasting effects. If on skin: wash with plenty of soap and water. If skin irritation or rash occurs: get medical advice/attention.